The House Ways and Means General Fund Committee will consider a number of bills to raise revenue for the General Fund at 10:00 a.m. today. If you’re not on Twitter, it’s tough to follow the live action. So here’s the action. Follow along. Will Storify it later. 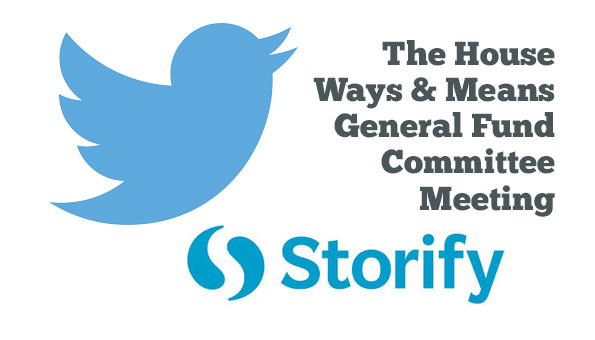 Here’s the Storify collection of tweets from the committee meeting. This article was updated to substitute Storify collection for live Twitter feed.